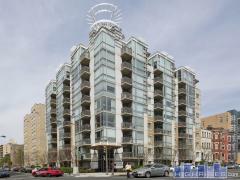 The Carleton is an art deco style condo building in Friendship Heights. Amenities include a pool, fitness center, party room, gardens, and a front desk that is attended 24 hours a day. Have any comments or questions about The Carleton of Chevy Chase? Ask your question and/or share your thoughts about this Building.